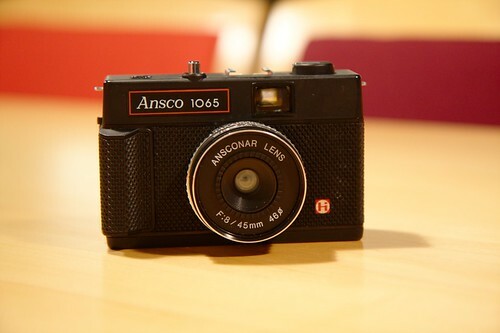 The Ansco 1065 is a simple 35mm snapshot viewfinder camera manufactured by Haking of Hong Kong, after they had gained ownership of the Ansco trademark. 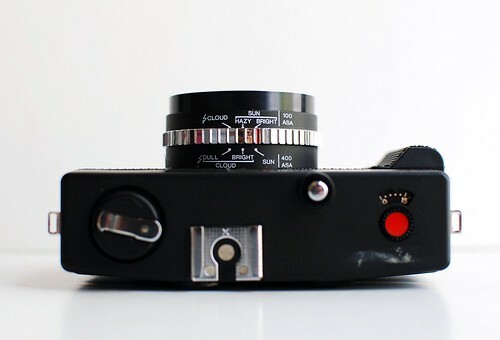 It appears to be a variant of the Haking Junior G. The 45mm f/8 lens is fixed focus and there is a simple 3-position aperture adjustment labeled with "weather conditions." The top panel includes a hot shoe for attaching a flash. This page was last edited on 8 December 2015, at 05:41.